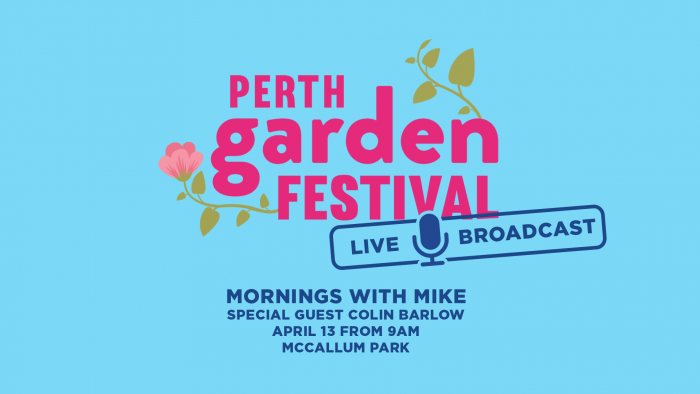 On Friday the 13th of April, Mornings with Mike is ditching the studio and heading out to the Perth Garden Festival. Join us from 9am at McCallum Park and even meet the infamous Colin Barlow! You can also win 1 of 4 double passes to the festival that will run from the 12th – 15th of April by playing our Garden Game on Facebook. Jump onto our page and correctly guess Mike’s favourite plant to go in the draw to win. Please note: Tickets must be picked up from the 98five Como Station.